Gift Hunter Club is another app which you can use to make some extra bucks. I've already reviewed the web version of GiftHunterClub. read here. 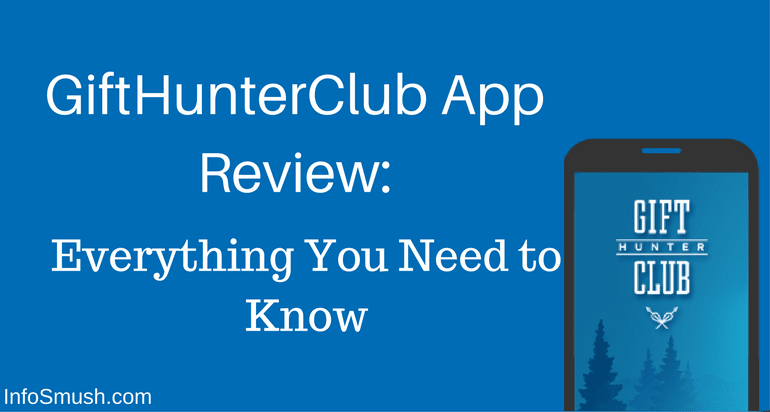 GiftHunterClub app is easy to navigate and stable. Before you can start earning you need to have an account with Gift Hunter Club. So, if you don't have one, Create your new GiftHunterClub account here. I've kept "Videos" 1st on my list because it is a quick and easy way to earn a few points everyday. Videos are 15-30 seconds long and worth 0.1 points. "0.1" Of course, that's how much you get considering the effort involved. Watching videos is a part of my daily routine. Whenever I am free I open the app and let the videos play. Video ads are available several times a day which is provided by Vungle and AdColony. GiftHunterClub offers surveys from Wannads or other survey routers. You can earn somewhere between 40-500 points per survey. Longer the survey more the points. Invite Friends and earn 10% of their earnings for the lifetime and as a gift, your friends will start with 20 points. You will also get 5% of the earnings of your friends' referrals'. Complete offers from offers wall like Aarki, NativeX, TrialPay and earn points. These offers mostly need you to download apps, sign up for a site, watch videos, etc. The points vary according to the offer. Weekly Bonus: Earn at least 1 point every day of the week and get a bonus of 10 points at the end of the week. Daily Bonus: Earn 200 Points with the GiftHunterClub Campaigns and get a bonus of 20 points. While using GiftHunterClub app won't help you make much a month, you can use it with other apps and sites to increase your total online income.